Rawlings manufactured ONL Coleman baseball team-signed by the 1986 World Series Champion New York Mets. 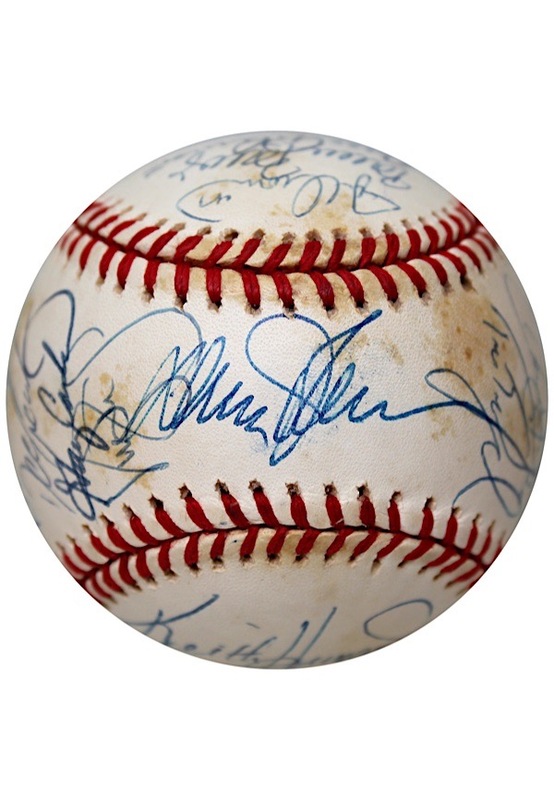 The ball is loaded with signatures in blue ink highlighted by Keith Hernandez, Dwight Gooden and many others. In our opinion the signatures rate between 6-8. There is spotting and staining throughout the ball. VG-EX condition. Accompanied by a LOA from JSA.